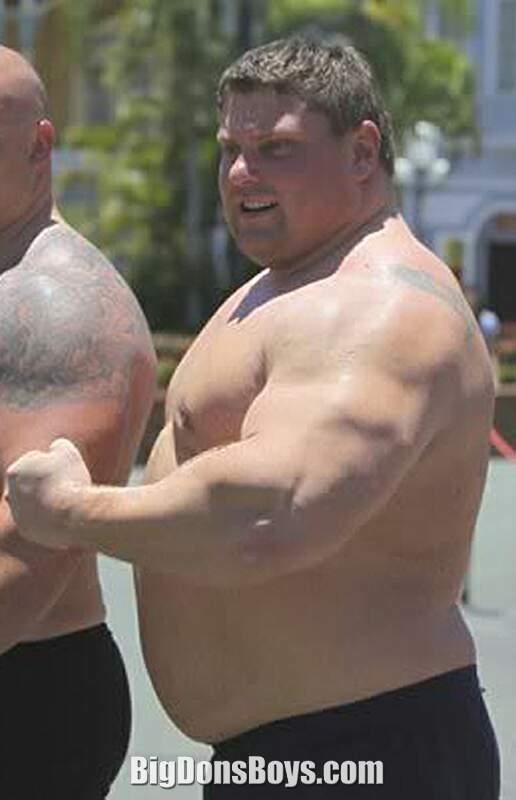 Žydrūnas Savickas (born 1975) is a Lithuanian powerlifter and professional strongman with so many foreign characters in his name it's probably gonna break my website. He is widely considered to be one of the greatest strongman competitors of all time. He is the only modern strongman competitor to have won every major strongman competition, most notably the World's Strongest Man in 2009, 2010, & 2012, the Arnold Strongman Classic on six consecutive occasions from 2003–2008, the IFSA Strongman World Championships in 2005 & 2006, Fortissimus in 2009, the Strongman Champions League overall title in 2008 & 202, the World Log Lift Championships in 2008, 2009, 20 and 2012 and Europe's Strongest Man 3 times in 2010, 2012 & 2013. He stands 1.9 m (6 ft 3 in) and competes at 185 kg (385 lb). Savickas is often referred to by his nickname, "Big Z". 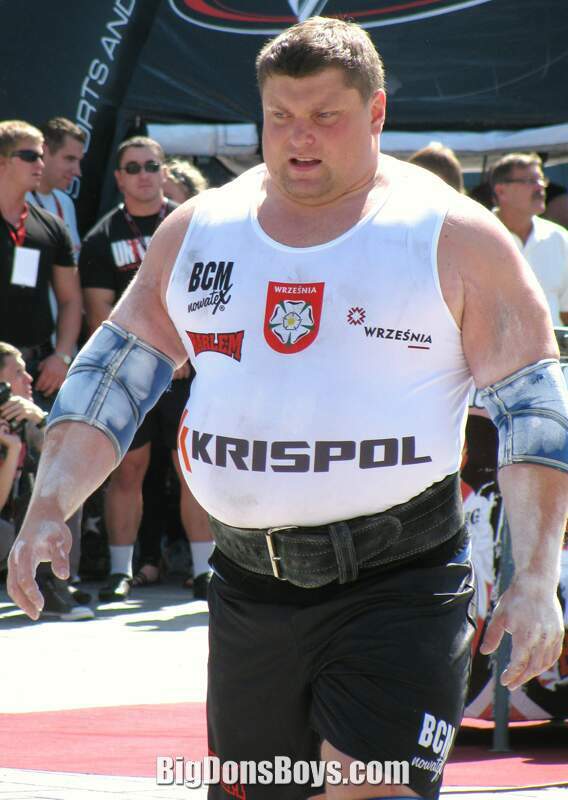 Savickas first became interested in strength sports after watching a Lithuanian strongman contest on TV in 989. Three years later he took part in that same strongman contest, and defeated a number of older and more experienced competitors. At age 17 Savickas began to train in powerlifting, and in his second powerlifting contest he broke all the Lithuanian records. 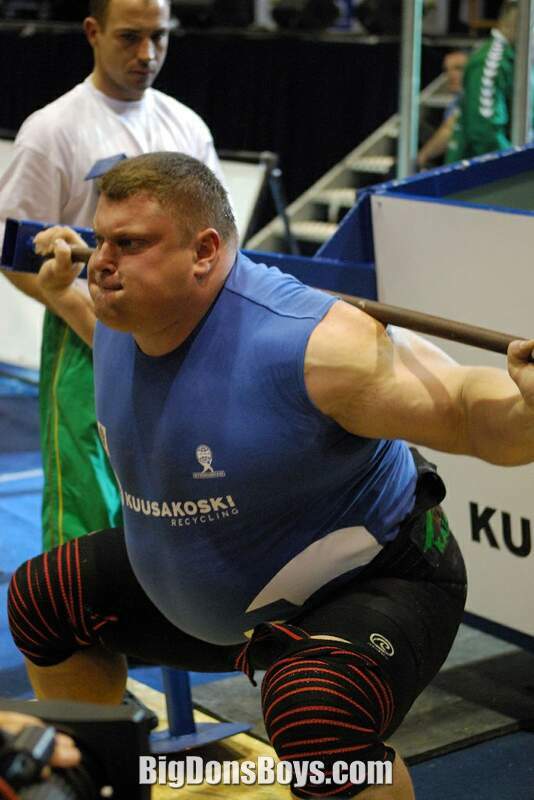 He is the only Lithuanian to squat over 400 kg. 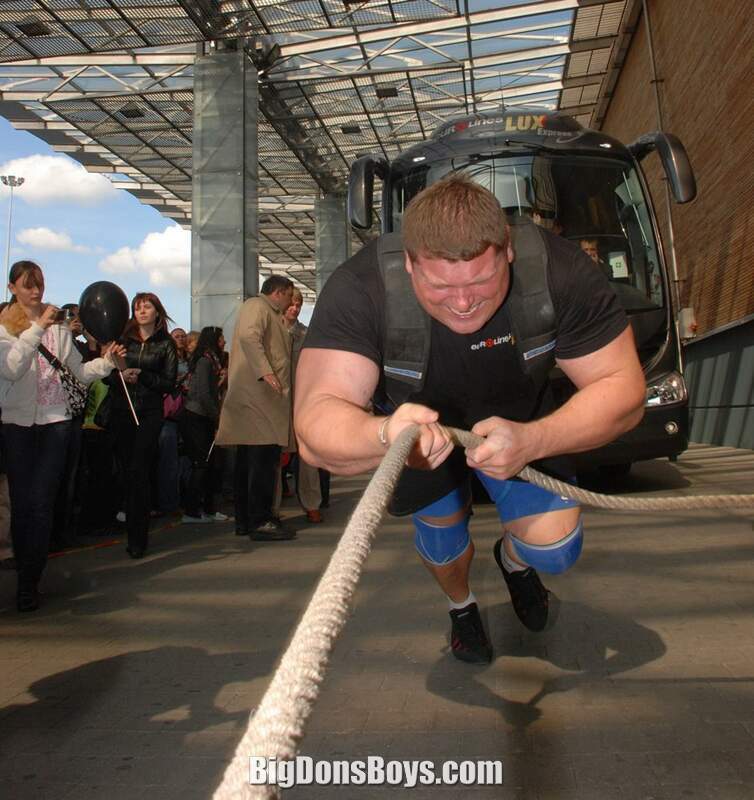 In 998 Savickas won his first Lithuania's Strongest Man contest, he would later go on to win this contest a total of 7 times. 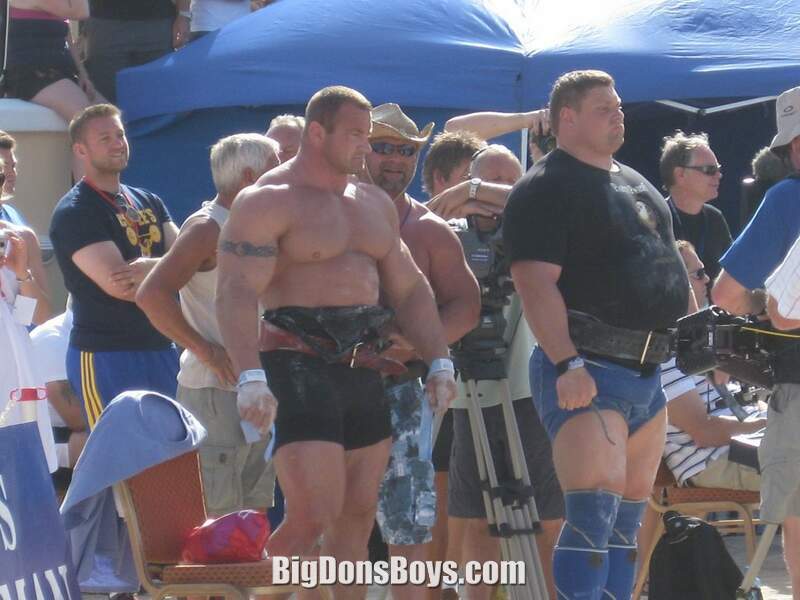 Savickas then competed in the 1998 and 2000 World's Strongest Man contests, but failed to qualify for the finals both times. He won the silver medal in the World powerlifting championship in Japan with a total of 1020 kg, just 2.5 kg behind Brad Gillingham. 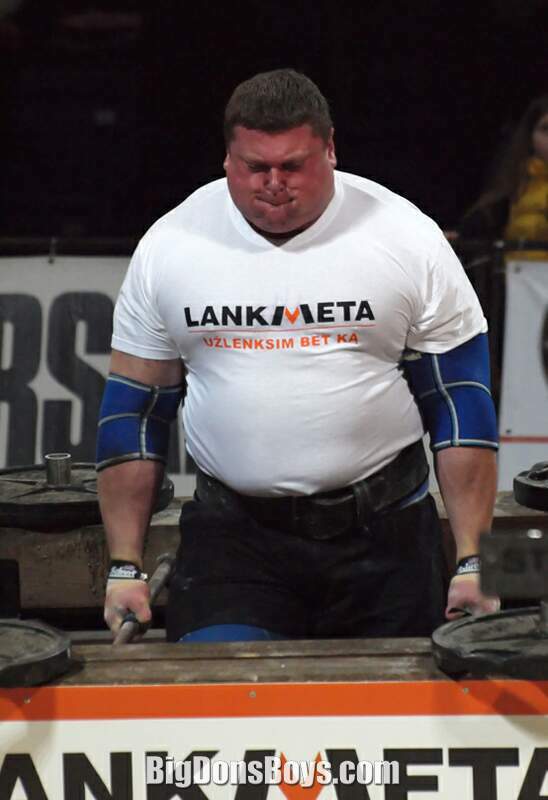 A contest in the Faroe Islands in 2010 dealt Savickas a major setback, as he tore both patellar tendons during the conan's wheel event. Many believed that the extent of the injury meant that his career was over. 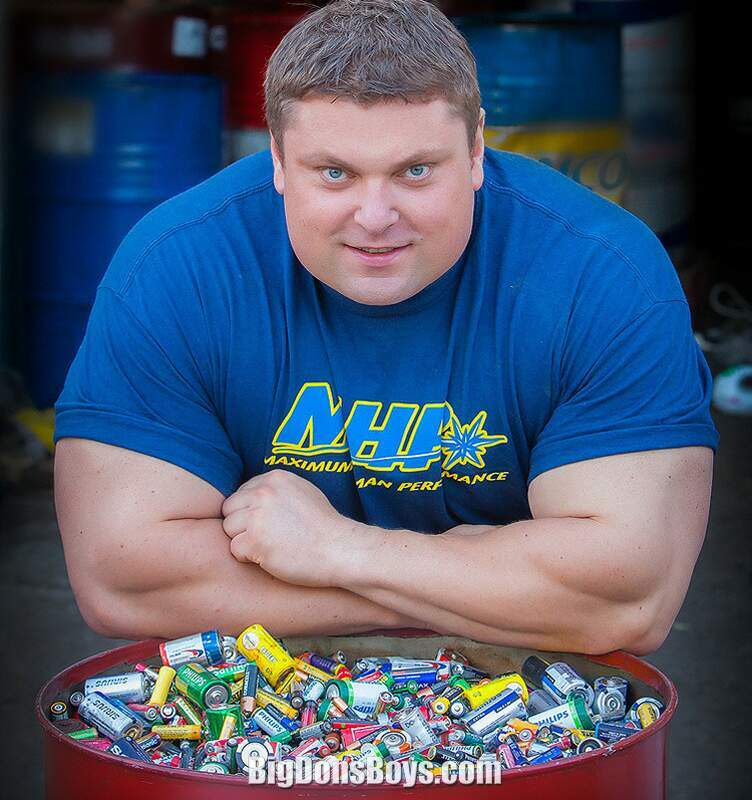 However, nine months later Savickas won the Lithuanian powerlifting championships, and a short time later he also won the 2002 Lithuania's Strongest Man contest. 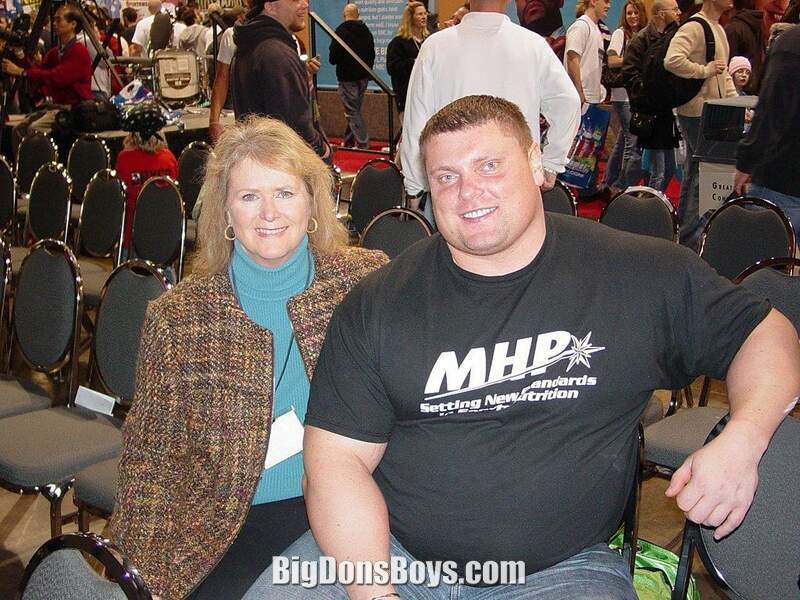 Savickas would go on to finish in 2nd place at the 2002 World's Strongest Man in Kuala Lumpur, Malaysia. He would finish in 2nd place 3 more times in 2003, 2004 and 2011, and st place at the 2009 and 2010 World's Strongest Man contests. 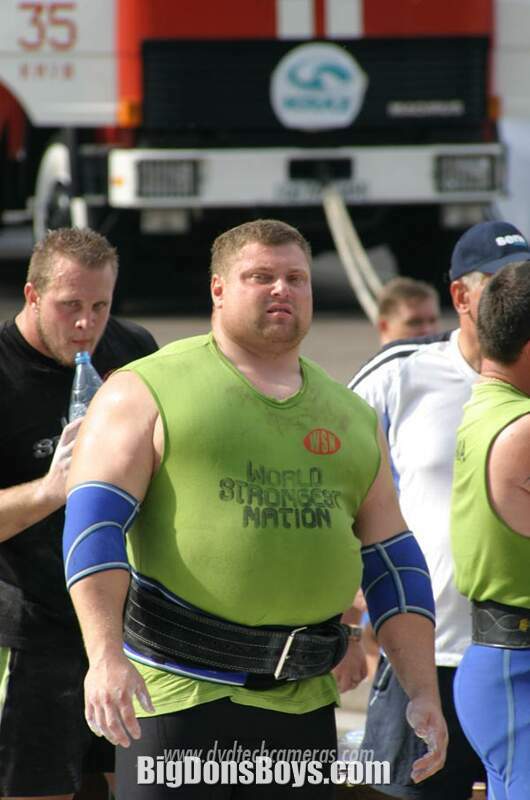 Savickas won the Arnold Strongman Classic six consecutive times from 2003–2008. Savickas won the IFSA European Championships in 2005 which qualified him for the world championships. In September 2005, he broke three world records and won the IFSA Strongman World Championships in Quebec, Canada. Savickas won the 2005 IFSA World Team Championships with Team Europe and won the IFSA World Championships for a 2nd time in 2006 in Reykjavík, Iceland. In 2007, Savickas finished in 3rd place at the last ever IFSA World Championships behind runner-up Mikhail Koklyaev and Champion Vasyl Virastyuk in Geumsan, South Korea. On October 24, 2005, Savickas represented Lithuania in a team competition with Vidas Blekaitis, Saulius Brusokas, and Vilius Petrauskas. Team Lithuania team placed 5th overall at the IFSA World's Strongest Nation contest in Ukraine. 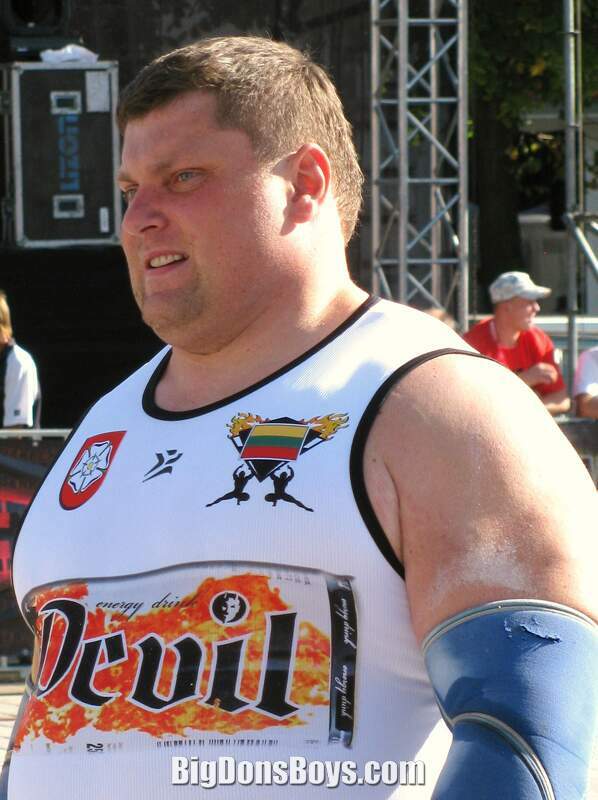 Savickas won 5 out of the 7 total contests during the inaugural 2008 Strongman Champions League season, and won the 2008 overall title 58 points ahead of second place finisher Ervin Katona. 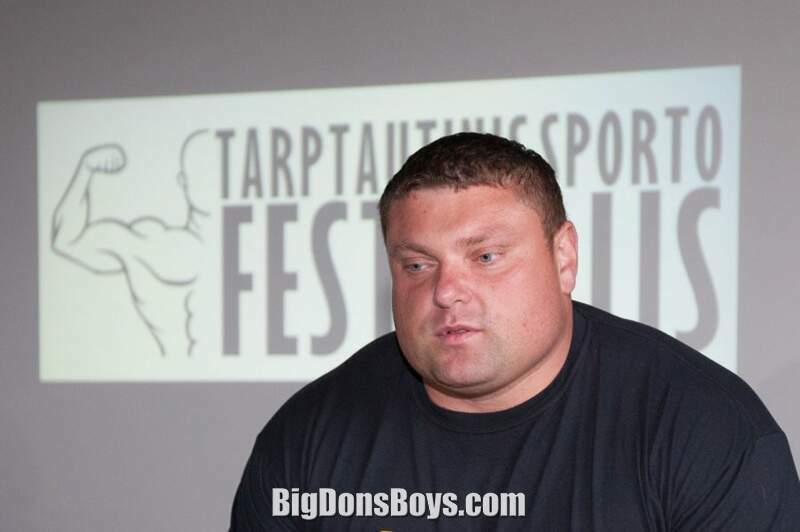 Savickas was the 2009 and 2010 World's Strongest Man champion. 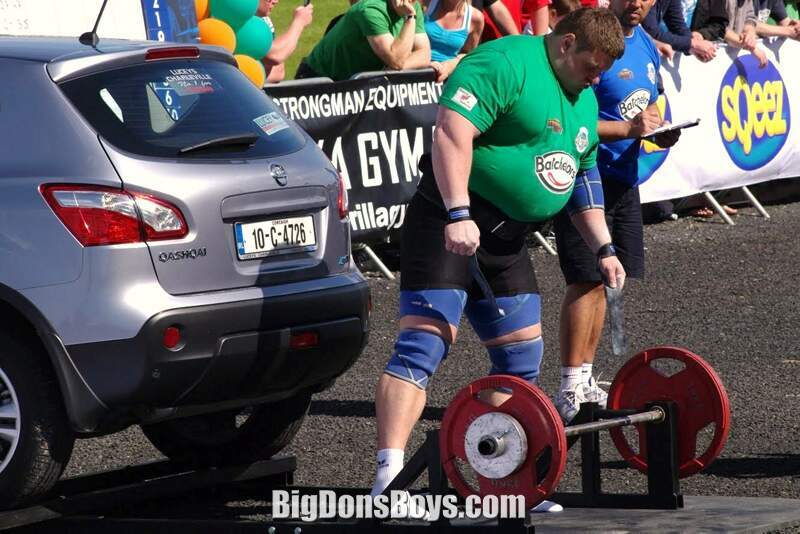 He has also won Europe's Strongest Man in 2010 & 2012. 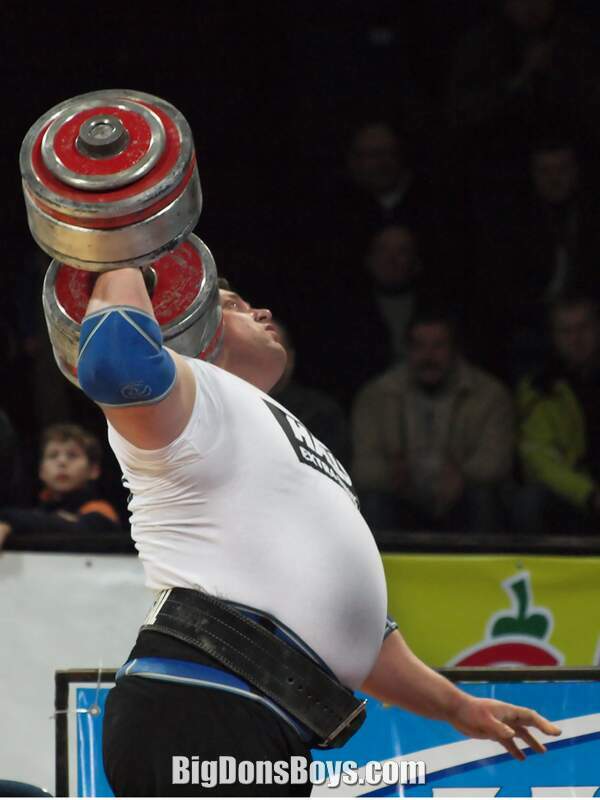 Savickas won Fortissimus in 2009 after finishing runner-up in 2008 behind Derek Poundstone. 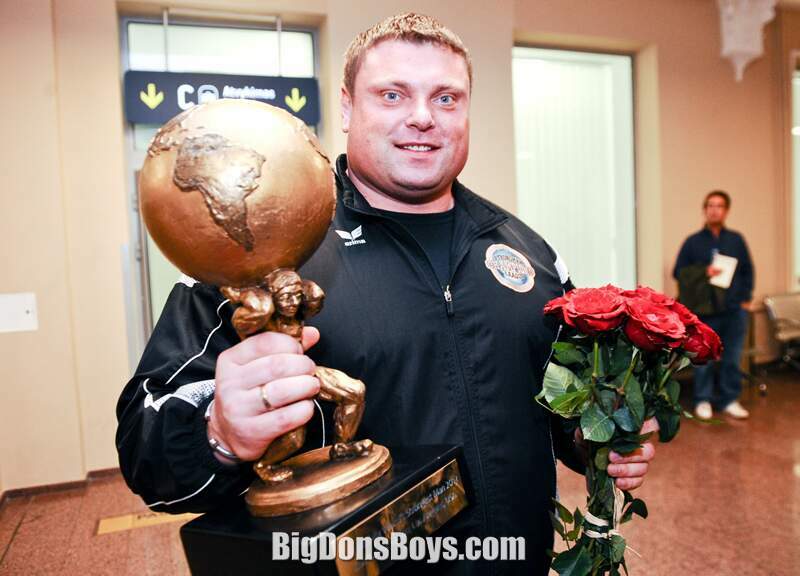 Savickas is the 3 time reigning World Log Lift Championships winner in 2008, 2009 and 2011 (there was no contest held in 2010). 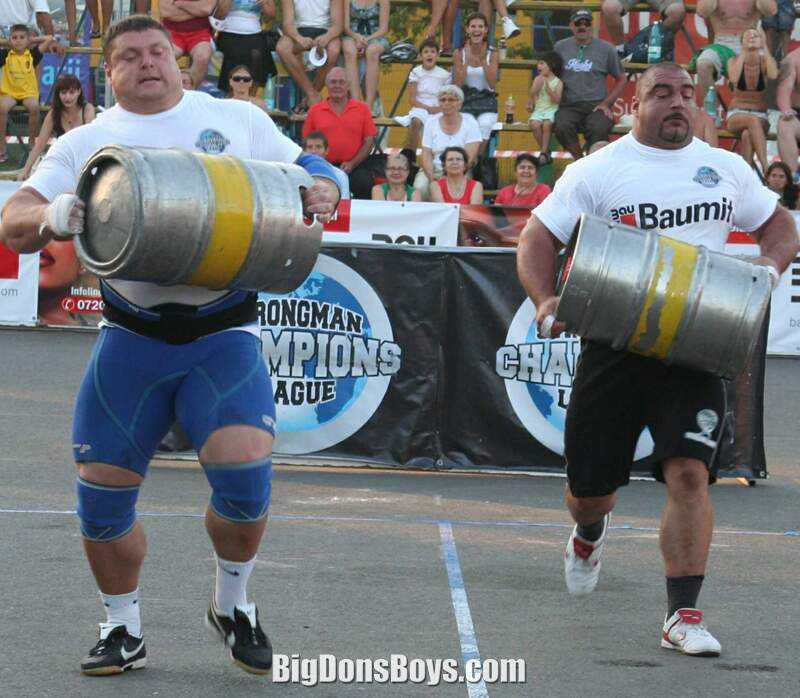 On April 5, 2011 Savickas set a new Guinness World Record performing a 20 meter Farmer's Walk in 7.55 seconds with 150 kg (330 lb) implements in each hand. The event was broadcast on the Guinness TV show in Europe. 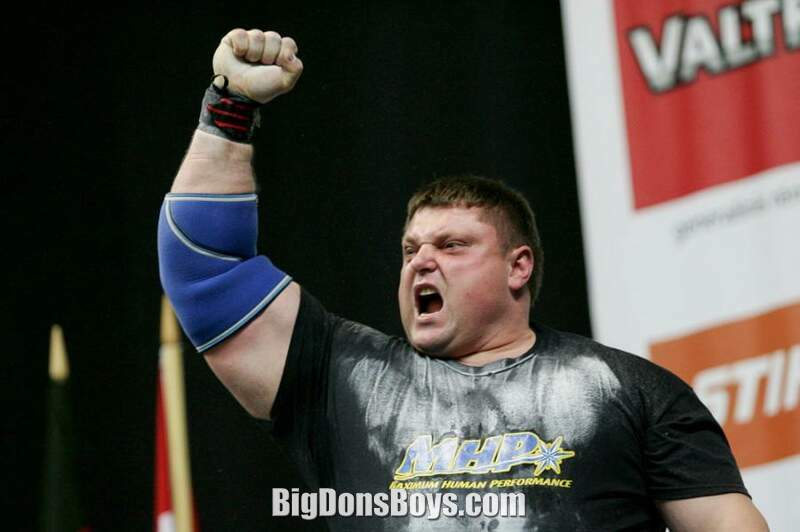 Savickas won 5 Strongman Champions League events during the 2011/2012 season, in Finland in March 2011, Germany on April 6, 2011, the SCL Semi-finals in Canada in Oct. 2011, Latvia in Nov 2011 and the SCL Finals in Sarajevo, Bosnia on Feb. 7, 2012. 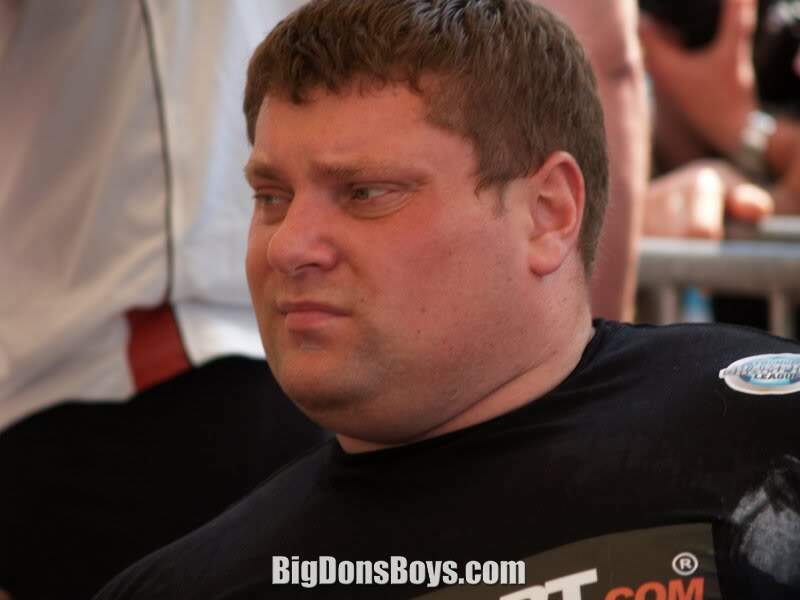 Savickas lost his WSM crown to American Brian Shaw at the 20 World's Strongest Man contest at Wingate University, North Carolina coming in second place for the fourth time. 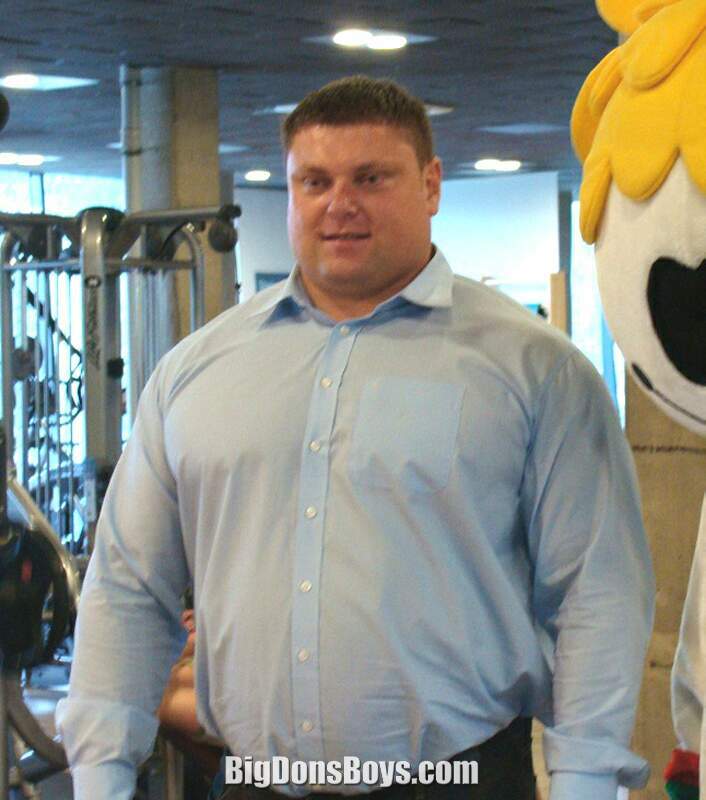 During the SCL Finals in Sarajevo, Savickas set a new world record in the log lift with 125 kg (470 lb). This was his 7th consecutive world record in the log lift, not including his world record in the giant wooden log lift set at the 2010 World's Strongest Man contest. 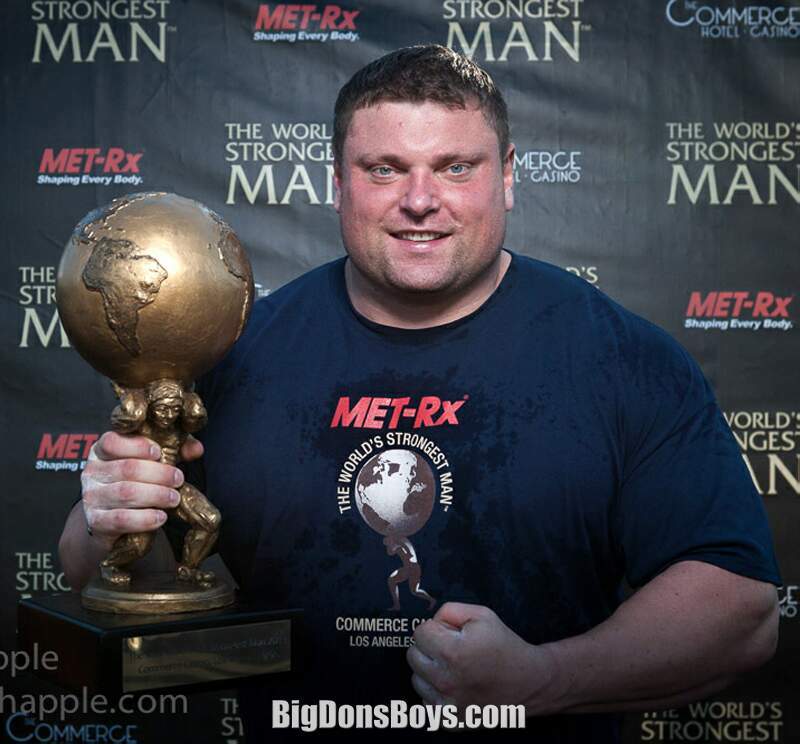 Savickas won the 2012 Europe's Strongest Man contest on June 23, 2012, his second ESM title after winning in 2010. Savickas also set a new world record in the log lift with a lift of 126 kg (480 lb), this was his 8th consecutive log lift world record. 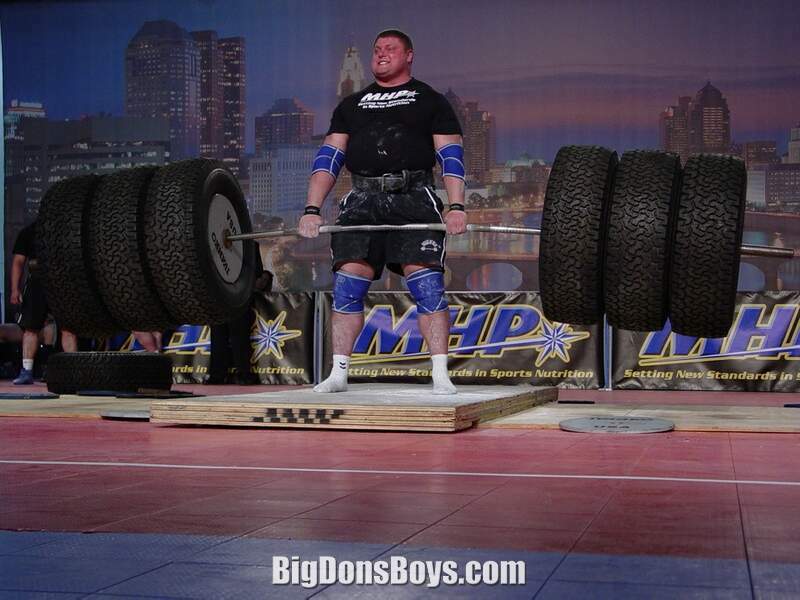 Savickas has won 8 Strongman Champions League events in the 2012 season and is the current overall leader. He won the 2012 SCL Iceman Challenge III in Finland in March, his third consecutive victory in that contest. 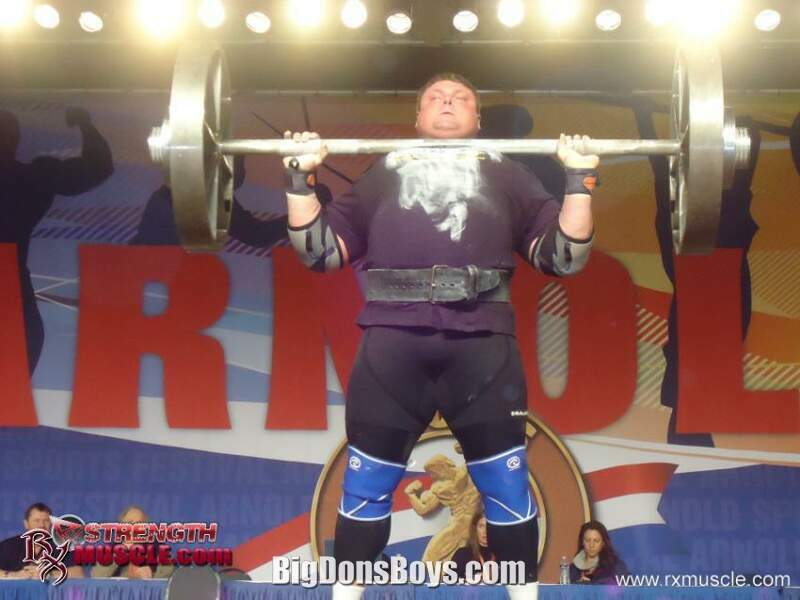 Savickas also won the 2012 FIBO event in Germany in April, and the SCL Holland event in Zevenaar, Holland on June 30, 2012. 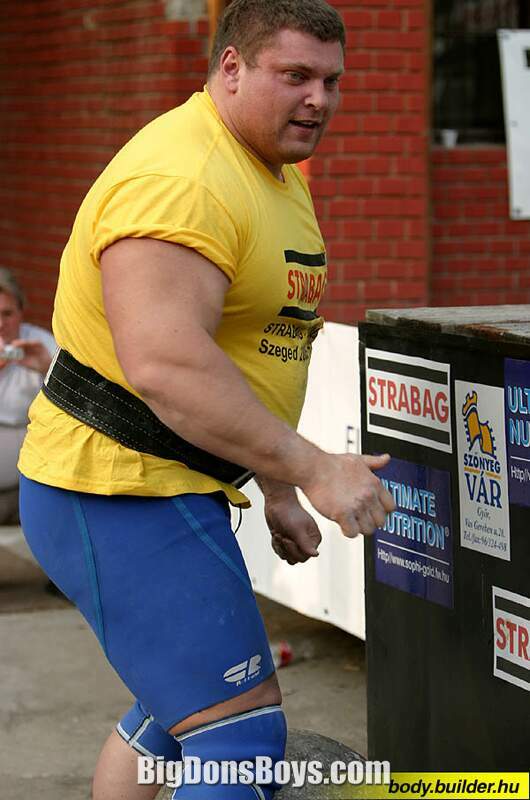 During the SCL Holland event, Savickas set yet another world record in the Log Lift with a lift of 127.5 kg (480 lb). 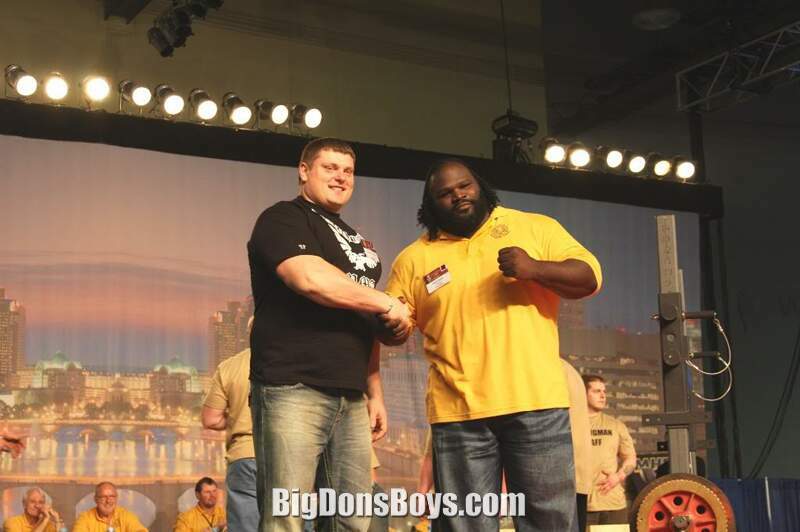 This was Savickas' 3rd log lift world record in 2012, and 9th consecutive log lift world record. 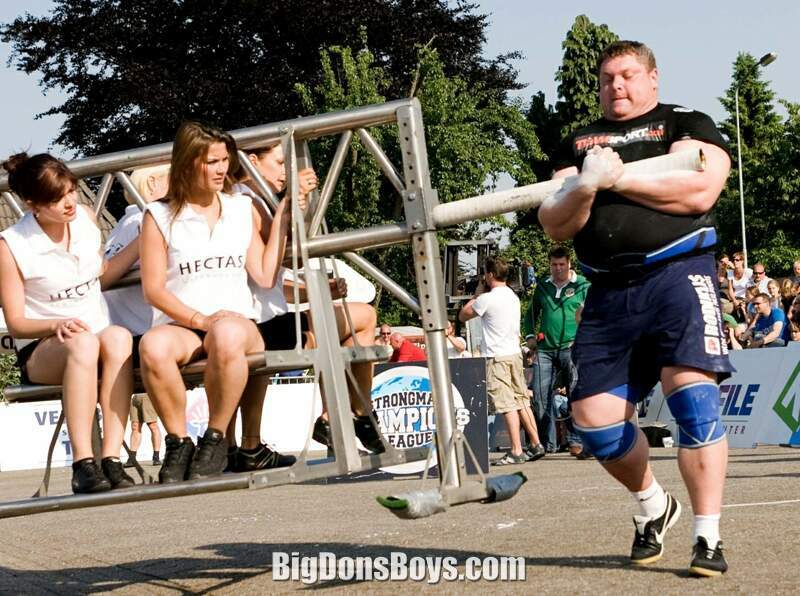 Savickas has held the log lift world record since 2005, and has set more total world records than any other strongman competitor in history. Savickas won the inaugural 2012 SCL World Shanghai Cup in China on July 8, 2012, his 4th SCL victory of the 2012 season, and the SCL Portugal event on July 2 in Oporto, Portugal.0 Savickas won the SCL Finland event on Aug. , 2012 and was the co-winner of the SCL Poland event on Aug. 8 in a tie with Mikhail Koklyaev. Savickas also won the SCL Gibraltar event on Sept. 2, 2012. This was his eight SCL victory for the 2012 season, and 28th career SCL win. Savickas regained the WSM crown by winning the 2012 World's Strongest Man contest in Los Angeles, California on Oct. , 2012. 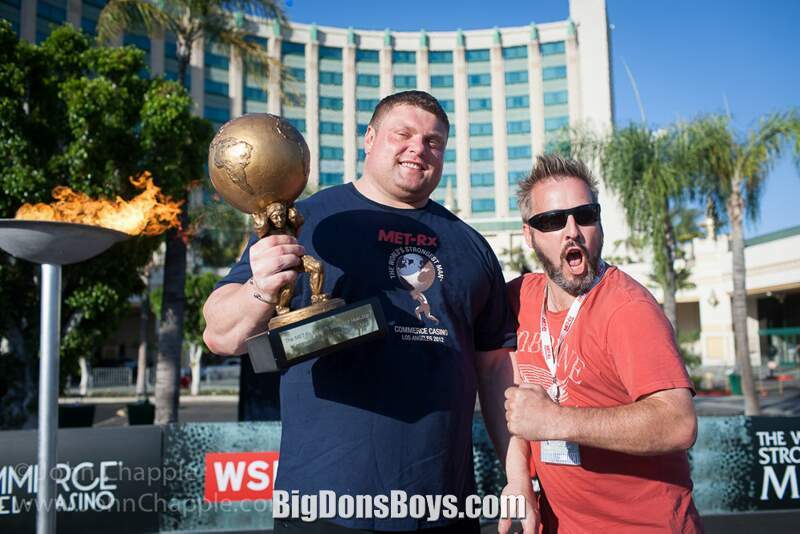 This was Savickas' third WSM title, he is only the fifth competitor in WSM history to win 3 or more WSM titles. 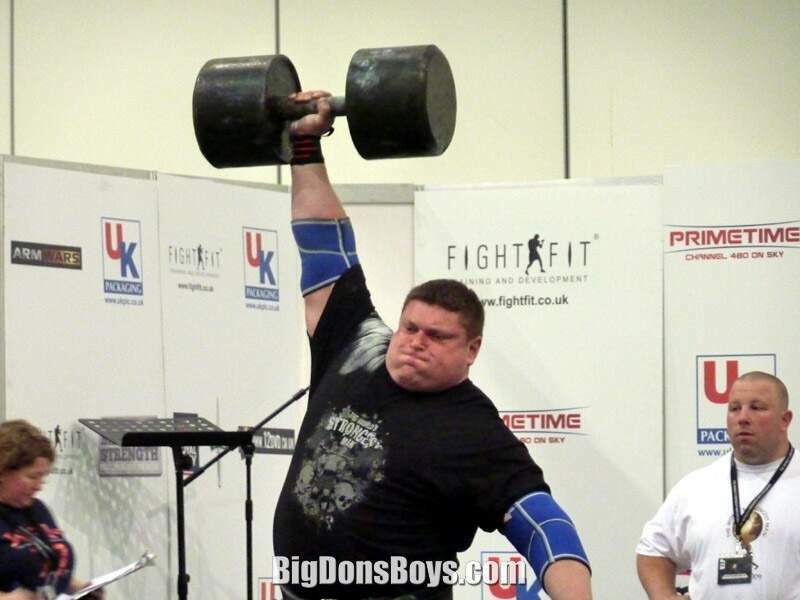 Savickas also set a new log lift world record in the finals with a lift of 220 kg (490 lb). 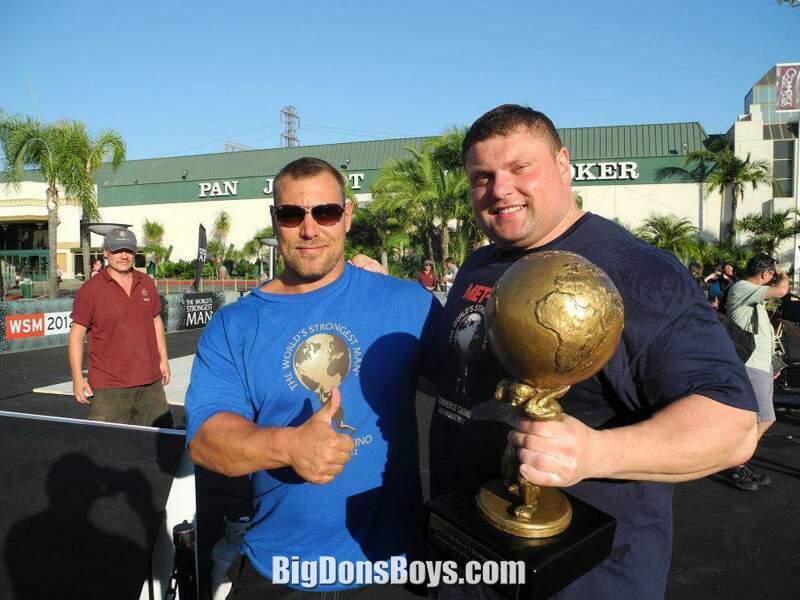 Savickas and Jon Pall Sigmarrson have each placed in the WSM top three a record seven times. 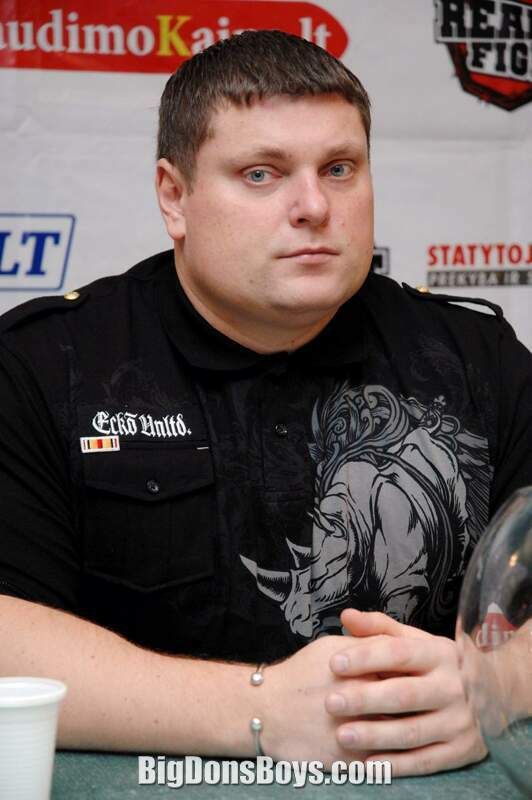 Savickas won the inaugural 2012 SCL Savickas Classic on Oct. 6, 2012 in Vilnius, Lithuania. This was Savickas' ninth SCL victory for the 2012 SCL season. 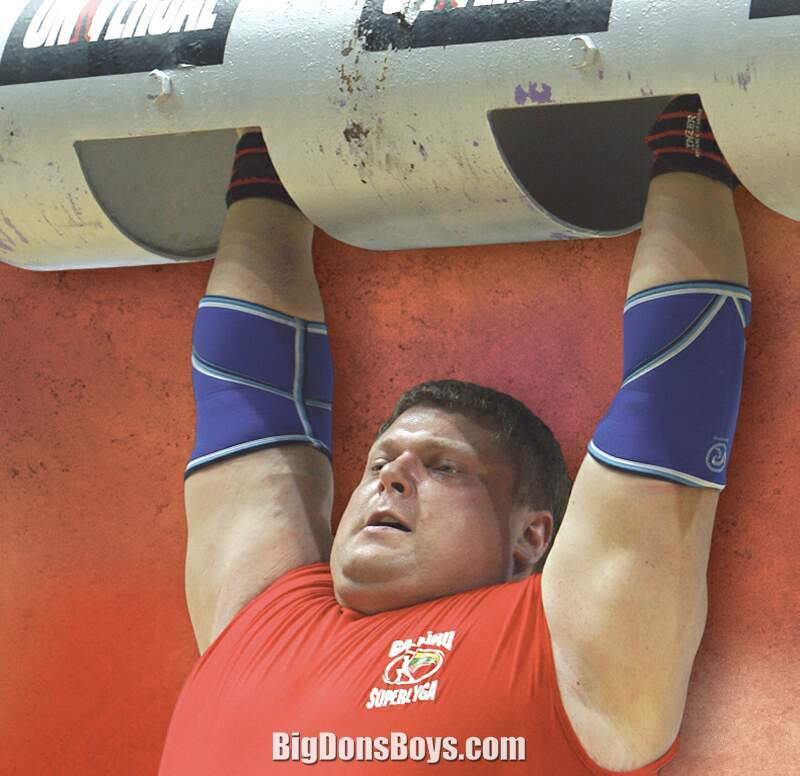 Savickas won the 2012 World Log Lift Championships on Oct. 7, 2012 which was held at the same venue as the Savickas Classic, this was his fourth consecutive Log Lift title. Savickas won the 202 SCL Finals held in Fort-de-France, Martinique on Nov. 8, 2012, his tenth SCL victory of the season. Savickas won the 202 SCL overall championship title, his second after winning in 2008. 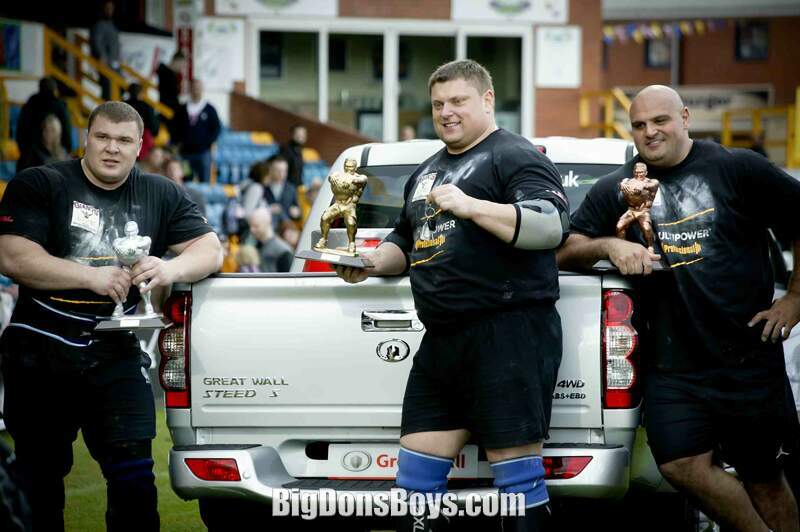 Savickas won his inaugural 2013 contest, the Strongman Champions League event held in Kalkar, Germany on June 22, 2013. Savickas also attempted a new Log Lift world record of 122 kg (490 lb), but just barely failed to lockout the weight overhead. 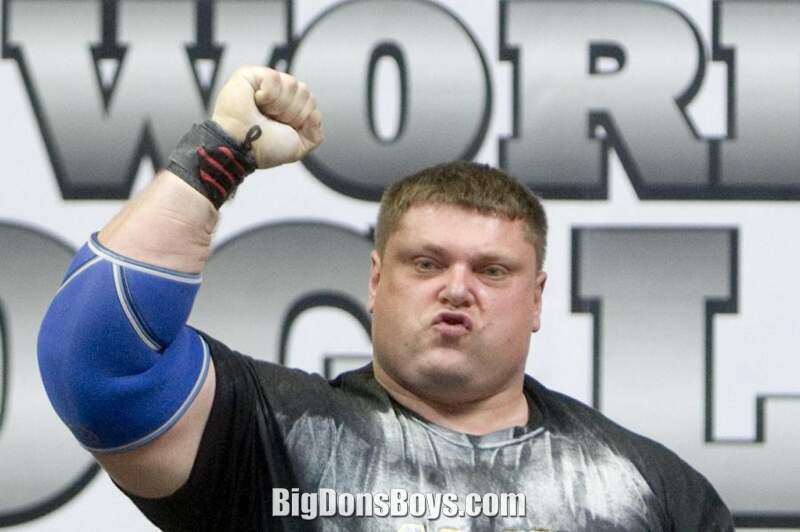 Savickas won his third Europe's Strongest Man title on June 29, 2013. He also set a new Log Lift world record with a lift of 212 kg (490 lb). 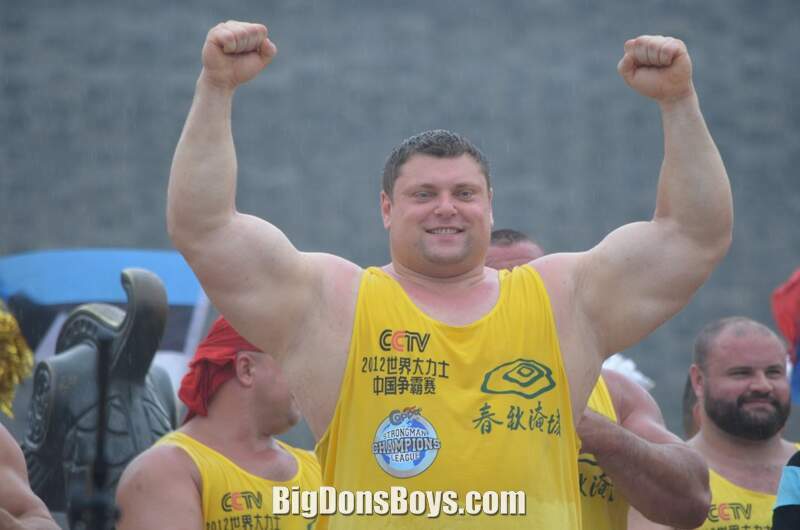 Savickas finished second in the 2023 World's Strongest Man contest behind American Brian Shaw. In the battle between two guys with incredibly hard to spell names, who will come out victorious?? Watch as fellow Big Don's Boy Mariusz Pudzianowski goes up against Big Z in the deadlift. The show was the World's Strongest Man competition from 2009.